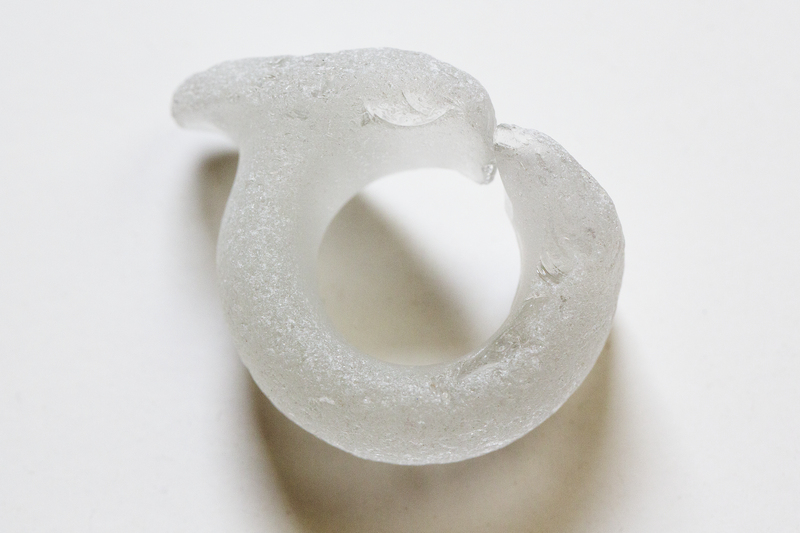 This clear glass piece is a bottle top ring. It was so highly prized by Calvin Klein that he dressed his best models in sea glass rings. Collected near Seaside Beach, California (near Monterey).